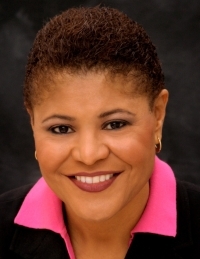 California legislator declares political opponents are "terrorists"
Newsbusters brings us a very disturbing quote from the Speaker of California's Assembly, Karen Bass (D-LA), when asked about the role talk radio has played in the debate over California's budget. While this authoritarian statist deserves to be mocked and ridiculed, there is no doubt that her words were calculated. This is part of a growing effort to classify dissent as terrorism. We saw this with the report when President Obama's Department of Homeland Security issued a report warning of "right wing" violence, while the report itself admitted that there was no evidence that any groups were planning violence. We saw abortion-rights advocates declare that abortion opponents were guilty of "inciting" violence after the murder of George Tiller, despite the fact that the pro-life movement has a long history of opposing anti-abortion violence. Make no mistake about it: this is an effort to criminalize dissent. After Democrats spent 8 years talking about how "dissent is the highest form of patriotism" in relation to the Bush Administrations policies on terrorism, one would think that Leftists would have some shame when a Democrat actually claims that dissent is terrorism. However, some Leftists have leaped to the defense of the inexcusable and dangerous remarks by Speaker Bass. In addition to her efforts to silence dissent, Speaker Bass is whining and crying that people are threatening the "careers" of legislators if they vote for increases. "Those darn voters. How dare they hold us accountable for our votes! We should be legislators for life." No, Speaker Bass. Neither you nor any other legislator has a divine right to elective office. If the voters choose to end your term because you are not representing them as they wish, they are well within their legal rights to remove you. What is interesting is that after Proposition 8 passed last year, some of the more militant opponents of Proposition 8 (among other things) went after the employment of Proposition 8 supporters. I wonder if Speaker Bass complained about those tactics? After all, it is expected that politicians will have their jobs threatened every two or four years, depending on their position. Militant Leftists in California threatened the employment of private citizens because of their support for a popular ballot initiative. Where was Speaker Bass then? I do think California's recall system is flawed. Once voters choose a representative, they should not be allowed to get a "do over" (as they did in 2003 with Gray Davis) if the official performs badly. The American electoral system is sound because of its stability. The makeup of government is based on elections held on a regular cycle, allowing allows people to keep their elected representatives on their toes while ensuring that government continues to operate in an orderly manner. If there is a hot-button issue that the people want addressed but the political elite will not touch, California's statewide referendums provide an outlet for those issues. If anyone is dangerous, it is Speaker Bass and her efforts to criminalize dissent and libel political opponents as "terrorists." Fortunately, the Constitution trumps Speaker Bass and her hysterical, America-hating rant... for now.